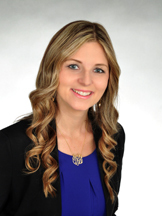 Emily has more than 10 years of experience in real estate, previously specializing in new home sales. She has worked with several national builders, including D.R. Horton Homes and Lennar Corporation where she was a top producer. After that, she decided to make a change and became a full service Realtor to use her experience to offer a wider range of services to her clients. Emily has always had a fascination with the real estate industry. She grew up with a passion for touring homes and learning about floorplans and neighborhoods. With this passion, Emily knew that real estate was the right career for her. She understands that buying and selling a home can be one of the biggest, and most challenging, life choices. As a seasoned real estate agent, she is with you every step of the way to make the process as easy – and even enjoyable – as possible. Emily is also a Tampa native. She attended college at the University of South Florida, where she graduated with a degree in Communication. She and her husband enjoy living in Tampa with their two sons. In her free time, she loves to take advantage of all of the amazing amenities that Tampa has to offer – jogging down Bayshore Blvd, heading to the beach or rooting on one of our home teams, The Tampa Bay Rays and the Bucs!